Does anyone know any junkyards around northern Illinois, northwestern Indiana or southern Wisconsin for Jeep where I can actually roam around with my tools? Picknpull in Summit Il,and in Hammond IN. Ashleys pick a part in joilet IL. All can roam around pretty well. LKQ is my favorite price wise. But I literally just got back from the pick n pull in summit 30 minutes ago and they had I believe 3 97+ Cherokees, and 2-3 Pre 96 cherokees right now. I've been to all the yards multiple times though. I'll check them out. Thanks for your quick response! did you see the two blue xjs? i got the ohc off them and rc front brake lines. The gun metal pearl jeep? Yep. Seen that one, grabbed factory fog light switch out of it. the black lifted 2000 been there couple weeks. saw that somebody chopped off the the leaf. i took the coil spring and stashed away. they probably crushed the car i put in by now lol. the yard wants 36 each. 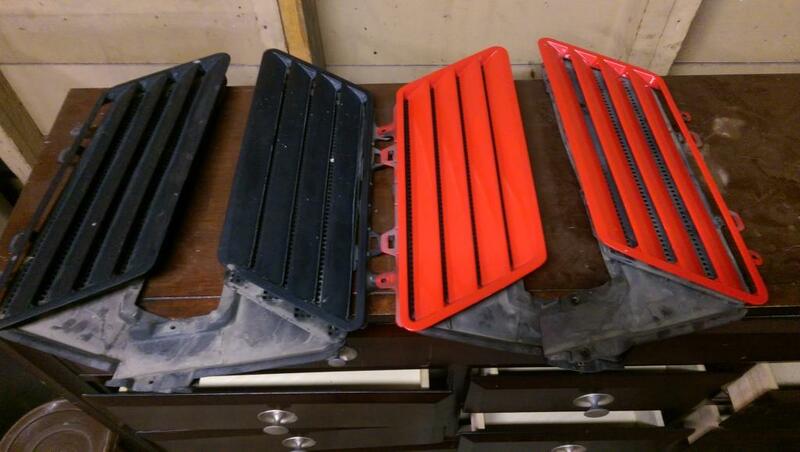 i also picked up these rare 92/93 chevy lumina Z34 metal hood vents. im going to list them on ebay or 3800 forum i know somebody will buy them. back to the jy post there's also few places by you. circus in river dale on 127th and ashland. pick and pull in hammond, and one in danville.